“Laurel Ledge Farm near Montville, CT is awesome! The property is beautiful and the barn is run in a very environmentally friendly, green manner – a nice change from some “high-tech” places I’ve been to. The horses are lovely, well-cared for and seem so relaxed! The indoor arena makes lessons a joy in any season and the miles of trails we take afterward take my breath away. A very nice experience! Horses are great, lessons are challenging and fun! Most satisfying to me is how much I have grown as a rider". 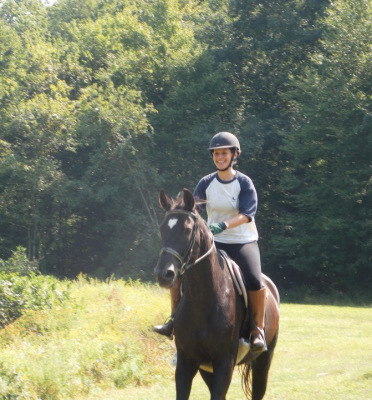 “Laurel Ledge Farm in Oakdale, CT is a terrific place for anyone wanting to return to their love for horses. After a long absence (40 yrs. to be exact! ), I decided to start taking lessons two years ago. It has been a very positive and nurturing place to help get over the anxiety of getting on a horse again. Michelle makes the lessons fun and adapts her teaching to match my learning style. As an added bonus, dogs are also welcome to come with you to the lessons. Lily knows when I am heading for a lesson and waits by the door so I won’t forget to include her. The facilities are top notch. The trails on the farm provide a nice change after riding in the ring during lessons. All the other riders are friendly, helpful and most welcoming to a new rider. I am very pleased and excited about the amount of progress I have made. You won’t find a better place to ride in SE CT.”. “I finally found my dream barn! Many of us interested in natural horsemanship as a tool to better communicate with our horses have a hard time finding a barn where the horse comes first and natural horsemanship is understood. My horse and I have been here for over five years now and I couldn’t be happier. My riding skills have improved dramatically and my horse is calm, relaxed and visibly more content than he has ever been. The farm is beautiful, there are miles of trails and a great group of students. Owner/Instructor, Michelle is very knowledgeable, a good communicator and supportive teacher. Through the lesson program, I am becoming the rider I want to be. 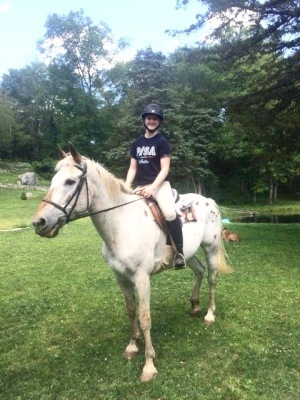 I would highly recommend Laurel Ledge Farm in Oakdale, CT to adult riders who love horses and wants a more relaxed, non-horse show, quality learning experience." “I am thrilled to be a part of Laurel Ledge Farm in New London County!! I am now 25 years old and within the last month or so have chosen to get back into horseback riding. When I was younger I took lessons at Laurel Ledge and the results were fantastic. Even as a younger child, I was always comfortable asking questions and experimenting with my skills. The guidance and support given by the instructors at Laurel Ledge is unlike any other farm that I have been to. Lessons are filled with positivity and encouragement. Ever since recently getting back into lessons, I have learned so much. At Laurel Ledge there is no pressure to be "better than" or to compete, with anyone else. Michelle does a fantastic job making your lesson about you and what you need to learn. There is a range of people of all different ages. Everyone is welcomed and accepted, without any pressure or judgment. Laurel Ledge is a place where I feel that not only every person is appreciated, but all of the horses and dogs :) are appreciated too. "Michelle has been invaluable to me, a male intermediate rider "wanna be" who is overly ambitious about his capabilities. She is quick to redirect my focus when I lose it. She does all of this without being militaristic which is great for me as my end game is leisure. Don’t be mistaken though if you want her to put the boots on she will do it and you may or may not regret that but you will get results." 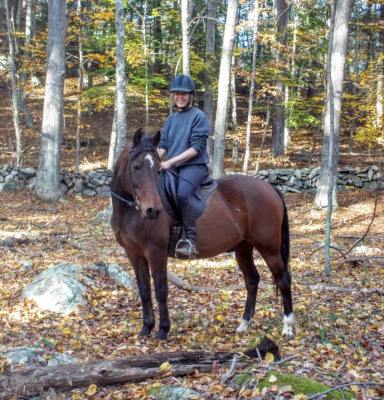 "Laurel Ledge Farm in Southeastern CT takes superior care of their horses' well being. From facilities to feeding methods to pasturing, training, and trail riding, their values put the horse first and are best-practices regarding horse health and well-being. That's why I selected Laurel Ledge when I was looking for a new home for my horse. I am a trainer on hiatus due to pregnancy and was looking for a new home and job for my #1 lesson horse. Laurel Ledge was my #1choice, and was naturally the perfect match. I already had a relationship to the farm through friends who are riding students there. Through previous visits to the farm and getting to know Owner / Head Trainer Michelle, I was familiar with all the opportunities Laurel Ledge has to offer. 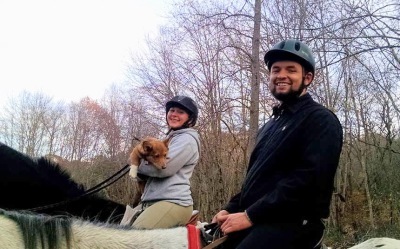 I also have continuously heard positive things about Laurel Ledge, which gave me the confidence that my horse would be cared for equally as well as I've cared for him. Thank you Michelle and Laurel Ledge Farm! I look forward to their beautiful indoor arena, cross-country obstacles and endless trails at my next visit. "I love going to Laurel Ledge Farm in New London County, CT. The atmosphere is relaxed and inviting, you're introduced to everyone there. I'm able to bring my dog and she loves it there too. Lessons with Michelle are amazing – she is the best instructor I've ever had. She is clear, concise and gives you many visuals and examples to help you learn. The entire experience is wonderful!"